ECU Joondalup Academy product Jordan Lyden’s debut for Aston Villa in the FA Cup has whetted his appetite, with the Perth-raised midfielder hoping to figure again for the Premier League strugglers against compatriot Mile Jedinak’s Crystal Palace this week. Lyden was on the bench against Arsenal last month in the Premier League but went one better in the draw with League Two Wycombe Wanderers at the weekend, replacing skipper Micah Richards late on. Lyden has impressed coach Remi Garde with his verve and vigour in recent training sessions with the first team and Villa fans have been calling for his inclusion for several weeks as the side languishes ten points from safety at the foot of the table. 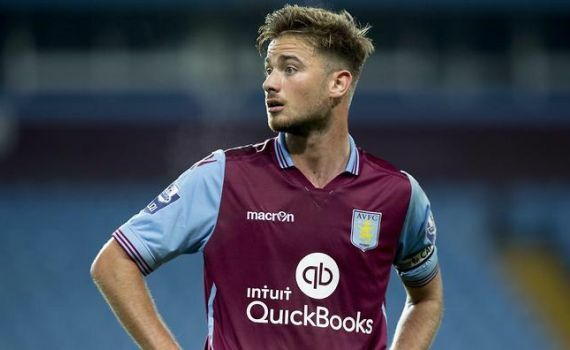 Whether he features at Villa Park against seventh-placed Palace on Wednesday is open to conjecture, but Lyden is convinced he is ready to make the step up. Villa have yet to win in eleven games under Garde and urgently need three points against Palace to inject a sliver of confidence into the team. “We still have togetherness, both staff and players, and it was great to see so many of our fans at Wycombe,” Lyden said. While his club fortunes are on the rise, Lyden, who played for the Young Socceroos at the 2014 Under-20 World Cup in Malaysia, was overlooked for this month’s AFC Under-23 Championship, where the prize for the Olyroos is a place at Rio 2016. The dual nationality midfielder qualifies for both England and Australia but his preference lies with the green and gold.